Last night I made Roasted Squash, Sage and Walnut Pesto Galettes, and I purposely roasted extra squash to do something with for tonight’s dinner. 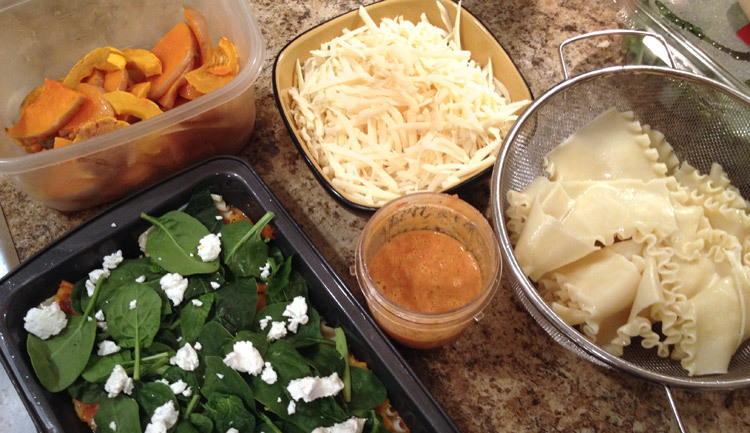 Prepping ingredients for two recipes at one time is a time-saving thing I like to do. 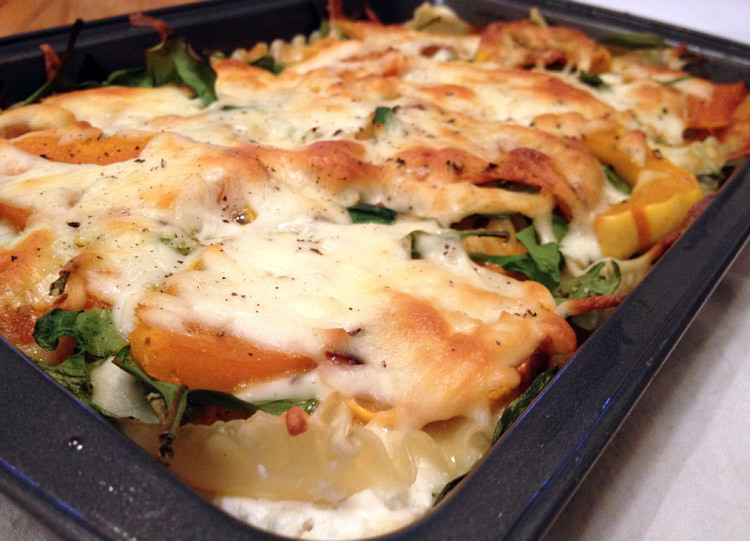 I also have some spinach on hand so searched for a roasted squash and spinach pasta dish. 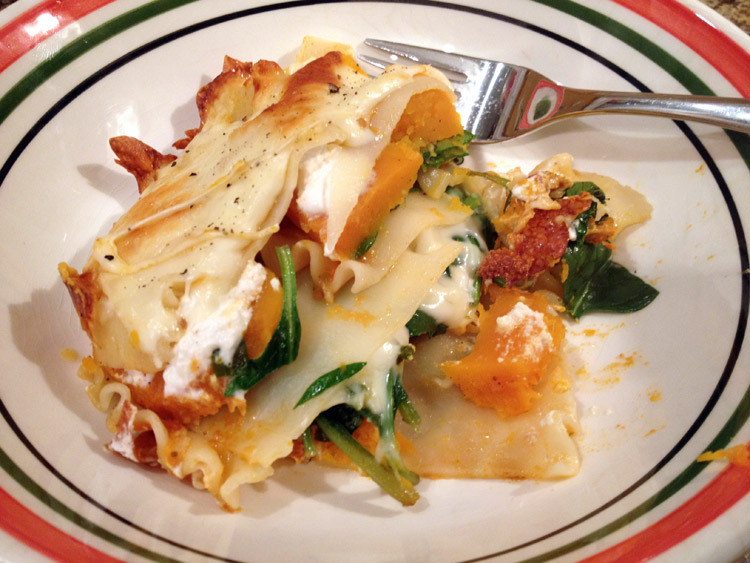 I found Jamie Oliver’s Squash & spinach pasta rotolo, which inspired this Squash and Spinach Lasagne dish. Pick one large and deep or 2 medium / shallow baking pans. Rub with a bit of oil if they tend to stick. Pour a small amount of your tomato sauce on the bottom of each pan to make a thin layer. Place a layer of noodles and then layer the toppings as you like, adding a layer of noodles every so often. Each section can be different if you like, or repeat ingredients in the same order. 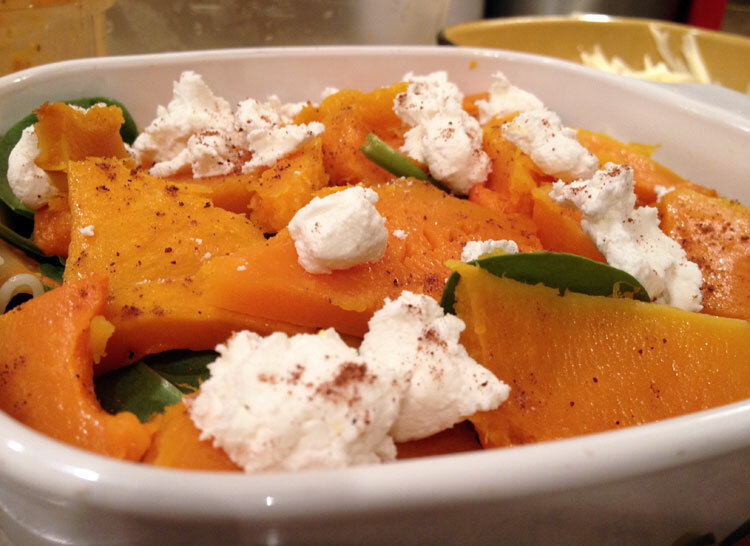 Nutmeg goes really nicely with squash and cheese so I recommend adding a pinch to a couple layers. If you’re not sure how you feel about nutmeg try it on one of your pans. Finish with cheese on top and some cracked pepper if you like. Bake at 400 F for 20-30 minutes. If you like a crispy cheese (like pizza topping) leave in longer. Also if you opted for a large, deep dish then go for the longer cooking time. Just keep an eye on it and make sure it doesn’t burn! Roast your tomatoes and garlic then combine everything in a magic bullet, blender, or hand-held blender. Taste and adjust seasoning as you like. 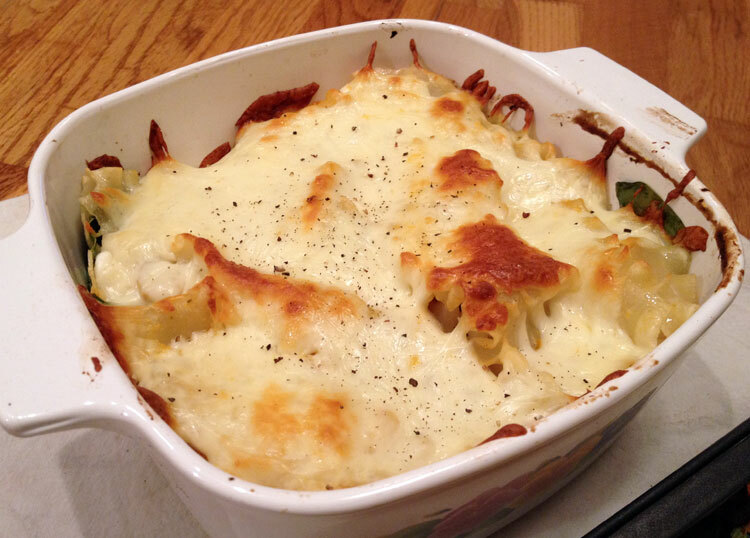 I usually add fresh basil if I have it in which case I would reduce or eliminate the dried herbs. If you have certain herbs you really like go with those. 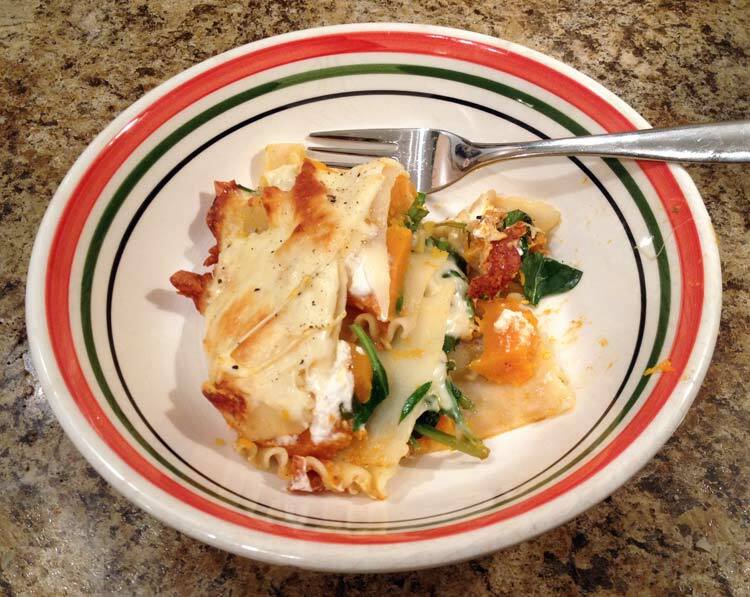 This is a flexible recipe so play around with it and make it your own. What are herbs de province? Are they herbs de BC? The one I used had thyme, parsley, marjoram, basil, tarragon, and fenugreek leaves.